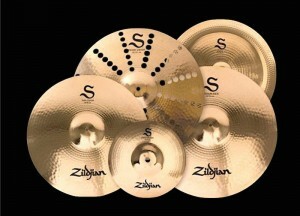 We recently got to try some of the [still] fairly new S Family cymbals. The S Family is a series made from B12 bronze. The series are lathed top and bottom, are quite heavily hammered and have a brilliant (shiny) finish. The cymbals featured in the video are 14” Mastersound hihats, 18” Trash crash, 16” and 18” medium thin crashes and a 20” medium ride. The series itself consists of rock, medium thin, thin (14” to 20”) and trash crashes (16” to 20”); medium (20”, 22” & 24”) and rock (20” & 22”) rides; mini (10”), regular (14”), Mastersound (13” & 14”)and rock (14”) hihats; splashes (8” &10” regular and china models) and two chinas (16” & 18”). The S Family is an intermediate series, which means it’s not pro level but has many pro level features and qualities. All of the cymbals we tried provided a clear, controlled sound which sat within the mid to higher mid frequency range. Personally, I quite liked all of the cymbals although I found the trash crash too be a little too thick to be properly ‘trashy’. The sound it produces isn’t bad by any means, but rather for me it makes a better light/drier crash as opposed to something that might fall between a china and a crash. The shiny finish gives the S Family a visual appeal and the bright, mid range/pitch sound with fairly short sustain means the line could be used in a variety of musical scenarios both live and in the studio. 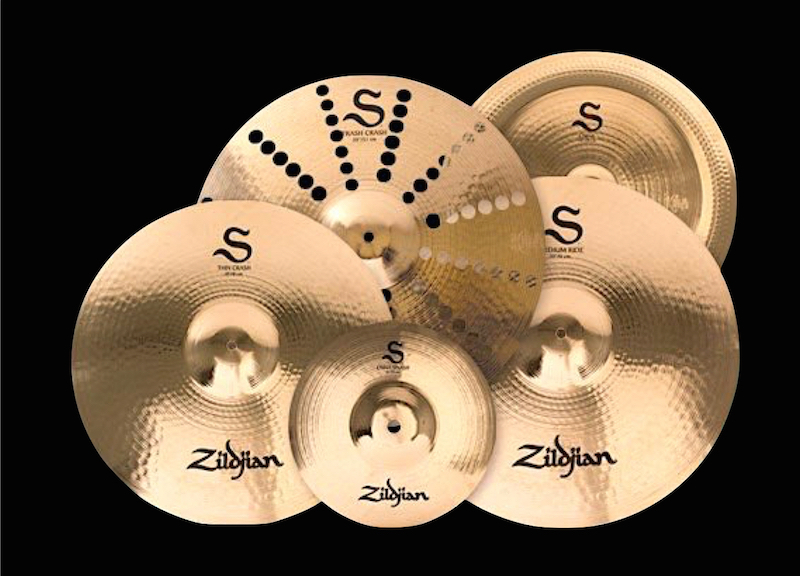 I can’t see these cymbals being too useful in lighter/quieter musical situations because they’re probably just a little too thick for that, but for most other genres – and particularly for those live applications – I think these might be pretty good options if you want something that will sit in the sonic target area the S Family provides. If you’re playing pubs and clubs doing pop and rock covers, I’m guessing the S Family’s clear sound would probably work well both in terms of application and budget. You also have got a wide range to choose from.